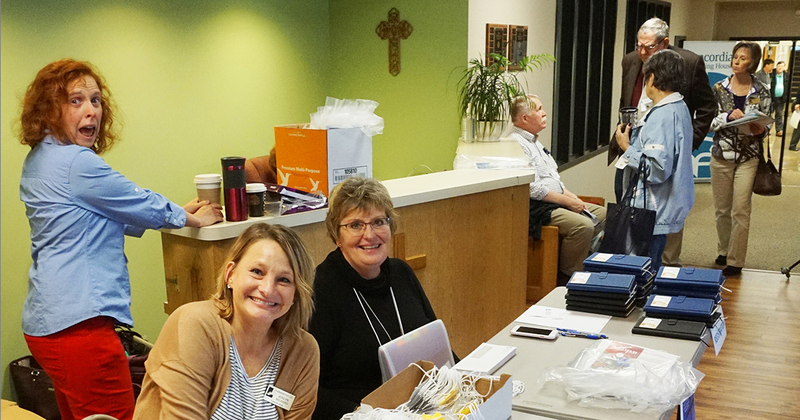 Lutherans For Life (LFL) celebrated its 40th anniversary as an organization at the 2018 LFL National Conference, held Oct. 12–13 at Immanuel Lutheran Church in Olivette, Mo. The conference brought in 214 attendees from 21 states and Canada. The theme of this year’s conference, “From Age to Age the Same,” was a paraphrase of Is. 46:4, referring both to God’s faithfulness and the value of human life. In keeping with this theme, workshop topics included a variety of issues touching on every stage of life, from abortion-pill reversal, to suicide awareness and prevention, to gender and sexuality, to hospice and end-of-life care. The Rev. Dr. Samuel Nafzger, who served for 30 years on the LCMS Commission on Theology and Church Relations, delivered the keynote address on the history of LFL. The plenary addresses, which focused on God’s grace, His work through LFL over the years, and the need for Lutherans to stand up for life and spread Christ’s love throughout the world, were delivered by the Rev. Dr. James Lamb and the Rev. Edward Fehskens III, both former executive directors of LFL, and the Rev. Dr. Dale Meyer, president of Concordia Seminary, St. Louis. Speakers at the workshops stressed the importance of speaking the truth in love when dealing with life issues. 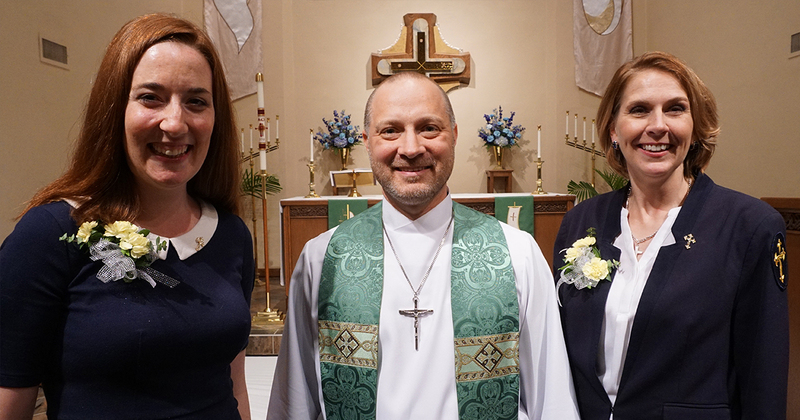 Hilary Haak, a member of Village Lutheran Church in Ladue, Mo., and leader of the parish’s Life Team, reflected on the opportunity the conference provided to connect with like-minded Lutherans. Indiana Lutherans For Life, based in Valparaiso, Ind. Concordia Publishing House, based in St. Louis. Bethesda Lutheran Communities, based in St. Louis. Voice of Care, a Chicago-based organization training Lutherans to minister to those with disabilities. Made for Freedom, a St. Louis-based fashion company that works with partners around the world to fight human trafficking by providing dignified employment for marginalized and exploited women and girls. Made for Freedom also donates 20 percent of its proceeds to job-training programs for women and girls. Our Lady’s Inn, a St. Louis-based ministry providing shelter to pregnant women and their children. An overarching theme of the conference was not letting the anti-life currents in American culture discourage one’s witness to the sanctity of life. 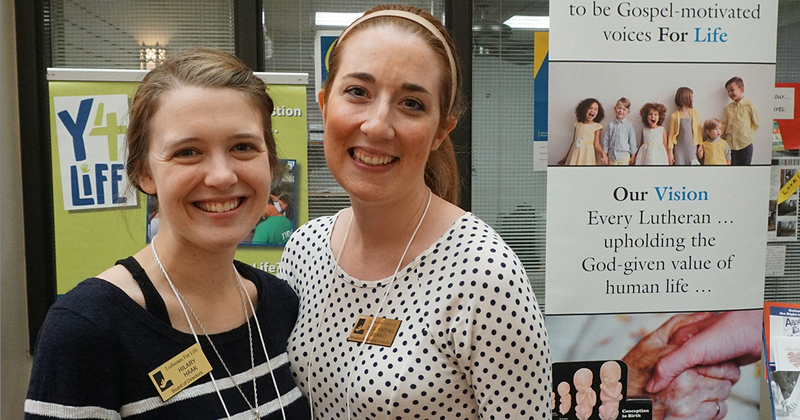 Several Concordia University System schools sent groups to the conference, and both LCMS seminaries were represented. Instead of a national conference in 2019, LFL will hold regional conferences under the theme “Did God Really Say … ?” in Grapevine, Texas (March 29); Detroit (April, date to be determined); Aurora (Denver), Colo. (Aug. 24). ; Rochester, Minn. (Sept. 14); eastern Pennsylvania (location and date to be determined); and San Francisco (Nov. 16). For more information on the conferences and other LFL news, visit lutheransforlife.org. Caitlin Magness (caitlinmmagness@gmail.com) is a freelance writer living in High Ridge, Mo.